This post will have the official information for Marvel’s GUARDIANS OF THE GALAXY 2 starring Chris Pratt reprising his role as Peter Quill/Star-Lord, coming to theaters May 5, 2017, and set to the all-new sonic backdrop of Awesome Mixtape #2. In addition to Chris Pratt, all the original Guardians return in GUARDIANS OF THE GALAXY 2 including Gamora, Drax, Rocket, and Groot (perhaps not yet fully grown), and seeks to uncover the mystery of Peter Quill’s parents revealed at the end of GUARDIANS OF THE GALAXY. One notable addition to the cast includes Kurt Russell playing??? Could Kurt Russell be playing Star-Lord’s father? Answer: Yes! Continue reading for all the news, images, and trailers for GUARDIANS OF THE GALAXY 2. During the GUARDIANS OF THE GALAXY Vol 2 press conference the creators and cast talk about the recurring theme of family for the Guardians team and film. GUARDIANS OF THE GALAXY 2 Review: You will leave the theater with a smile on your face as you head to the nearest toy store to buy a dancing Baby Groot. Fun series of trading card style character posters released for Marvel’s GUARDIANS OF THE GALAXY 2. Final poster released for Marvel’s GUARDIANS OF THE GALAXY 2 along with a new rocking trailer. New mix-tape, poster, and trailer released during the Super Bowl for Marvel’s GUARDIANS OF THE GALAXY 2. First official poster and “sneak peek” (i.e., teaser) trailer released for GUARDIANS OF THE GALAXY 2. It’s a very different look for a Marvel Cinematic Universe film… obviously. Concept artwork released for GUARDIANS OF THE GALAXY 2 featuring a tentacled beast, jetpacks, and the always adorable baby Groot. The GUARDIANS OF THE GALAXY team made their triumphant return at San Diego Comic Con after the Ravagers filled Hall H. Marvel Studios brought out the cast including Chris Pratt (Star Lord), Zoe Saldana (Gamora), Karen Gillan (Nebula), Dave Bautista (Drax the Destroyer), Michael Rooker (Yondu), and Kurt Russell. Director James Gunn revealed a clip where Little Groot helped Yondu and Rocket Racoon escape from the Ravagers. Kurt Russell said, “I think James (Gunn) wrote a great character. I had a great time with these guys.” Kurt Russell confirmed to play Ego, Star-Lord’s father, for GUARDIANS OF THE GALAXY 2. Marvel Studios President Kevin Feige reveals GUARDIANS OF THE GALAXY will be a “major theme park attraction.” Guardians of the Galaxy – Mission Breakout are coming to Disney California Adventure theme park in 2017. The cast shot footage for the new attraction, and Benicio Del Toro will reprise his role as “the Collector” for the new ride. Marvel Studios has begun principal photography at Pinewood Studios in Atlanta, Georgia, on Marvel’s GUARDIANS OF THE GALAXY VOL. 2, which is slated to hit U.S. theaters on May 5, 2017. The production will shoot at Atlanta’s Pinewood Studios. GUARDIANS OF THE GALAXY VOL. 2 is written and directed by James Gunn (“Guardians of the Galaxy,” “Slither”). 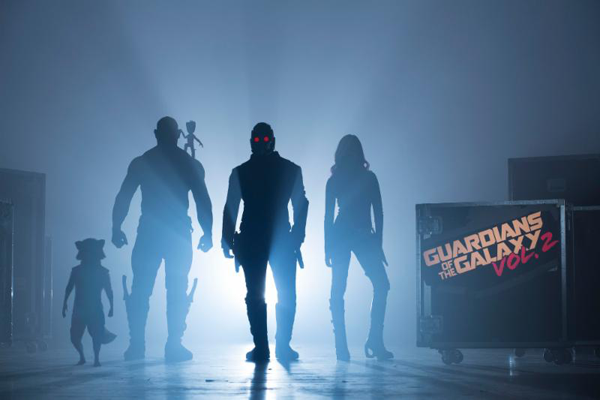 The film marks the return of the original Guardians, including Chris Pratt (“Jurassic World,” “Guardians of the Galaxy”) as Peter Quill/Star-Lord; Zoe Saldana (“Guardians of the Galaxy,” “Star Trek Into Darkness”) as Gamora; Dave Bautista (“Spectre,” “Guardians of the Galaxy”) as Drax; Vin Diesel (“Guardians of the Galaxy,” “Furious 7”) as the voice of Groot; Bradley Cooper (“Joy,” “American Sniper”) as the voice of Rocket; Michael Rooker (“Guardians of the Galaxy,” “Jumper”) as Yondu; Karen Gillan (“Guardians of the Galaxy,” “The Big Short”) as Nebula; and Sean Gunn (“Guardians of the Galaxy,” “Gilmore Girls”) as Kraglin. New cast members include Pom Klementieff (“Oldboy”), Elizabeth Debicki (“The Great Gatsby,” “Everest”), Chris Sullivan (“The Knick,” “The Drop”) and Kurt Russell (“The Hateful Eight,” “Furious 7”). 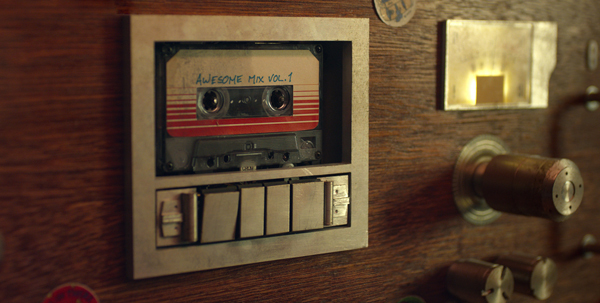 Set to the all-new sonic backdrop of Awesome Mixtape #2, GUARDIANS OF THE GALAXY 2 VOL. 2 continues the team’s adventures as they unravel the mystery of Peter Quill’s true parentage. GUARDIANS OF THE GALAXY VOL. 2 is produced by Marvel Studios’ president, Kevin Feige, with Louis D’Esposito, Victoria Alonso, Jonathan Schwartz, Nik Korda and Stan Lee serving as executive producers. 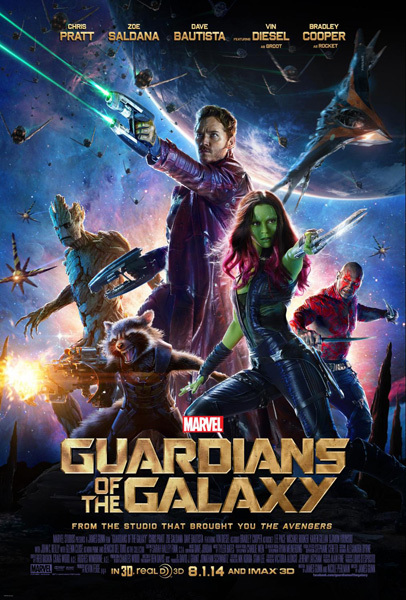 Director James Gunn’s creative team also includes director of photography Henry Braham (“The Legend of Tarzan,” “The Golden Compass”); production designer Scott Chambliss (“Star Trek,” “Tomorrowland”); editors Fred Raskin (“The Hateful Eight,” “Guardians of the Galaxy”) and Craig Wood (“Guardians of the Galaxy,” “Pirates of the Caribbean: At World’s End”); three time Oscar®-nominated costume designer Judianna Makovsky (“Captain America: Civil War,” “Harry Potter and the Sorcerer’s Stone”); Oscar®-nominated visual effects supervisor Chris Townsend (“Avengers: Age of Ultron,” “Iron Man 3”); stunt coordinator Tommy Harper (“Pirates of the Caribbean: Dead Men Tell No Tales,” “Captain America: The Winter Soldier” ); co-producer / first assistant director Lars Winther (“Captain America: Civil War,” “Captain America: The Winter Soldier”); and six-time Oscar® nominee, special effects supervisor Dan Sudick (“Captain America: Civil War,” “The Avengers”). 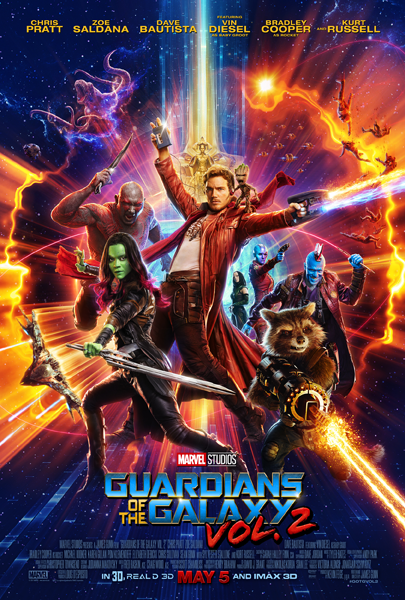 The original GUARDIANS OF THE GALAXY was a hit with critics and audiences alike, earning over $770 million at the worldwide box-office, and holds the record as the most successful debut film in the Marvel Cinematic Universe. In addition, the film’s soundtrack went platinum and was nominated for a Grammy®. Based on the Marvel comic characters first published in 1969, “Guardians of the Galaxy Vol. 2 “continues the lineage of epic big-screen adventures chronicled in “Iron Man,” “The Incredible Hulk,” “Iron Man 2,” “Thor,” “Captain America: The First Avenger,” “The Avengers,” “Iron Man 3,” “Thor: The Dark World,” “Captain America: The Winter Soldier,” “Guardians of the Galaxy,” “Avengers: Age of Ultron,” “Ant-Man,” and the upcoming release schedule, which includes “Captain America: Civil War” on May 6, 2016; “Doctor Strange,” November 4, 2016; “Spider-Man,” July 7, 2017; and “Thor: Ragnarok” on November 3, 2017. Marvel Studios continued its unprecedented success in 2015 with the release of Avengers: Age of Ultron. At the time of release, the film recorded the second biggest opening weekend of all time with a $191.3 million box office. It has also been the #1 release in every country where it has opened and has grossed over $1.4 billion in global box office. The studio also successfully launched another franchise with Ant-Man, starring Paul Rudd, Michael Douglas and Evangeline Lilly. The film opened #1 at the box office on July 17 and went on to gross more than $519 million at the worldwide box office. The film propelled the Marvel brands’ #1 domestic box-office opening streak to a record-breaking 12 consecutive films.